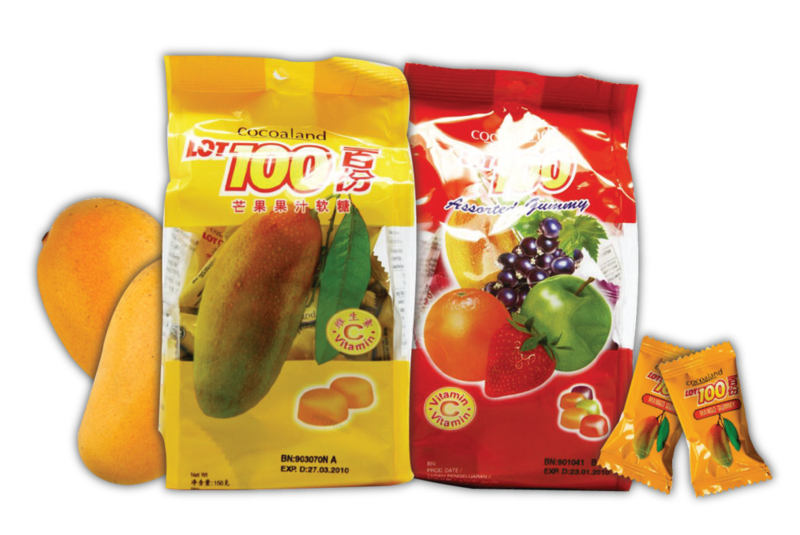 Cocoaland's Halal Lot-100 Gummy taste just like the real fruit. "Juicy and bursting with flavor" describes these best. These treats come in six fruity flavors: Mango, Apple, Strawberry, Blackcurrant, Orange. and Assorted. 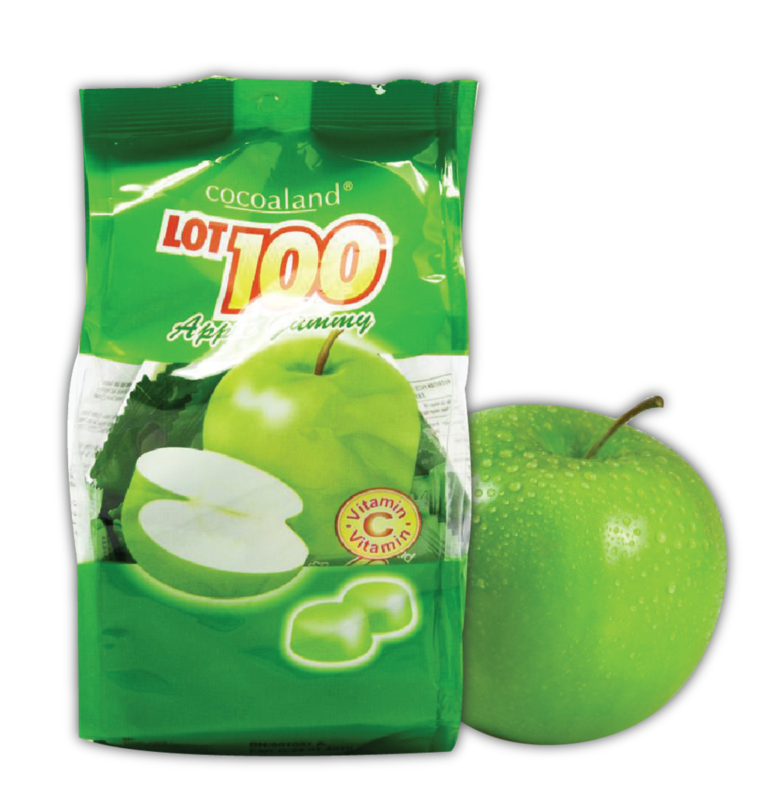 Lot 100 is a registered trademark of Cocoaland, Malaysia.